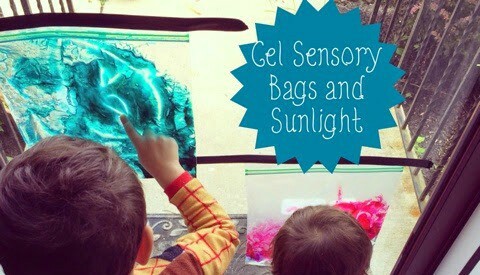 Gel sensory bags are one of my favorite and super easy go-to sensory play ideas. 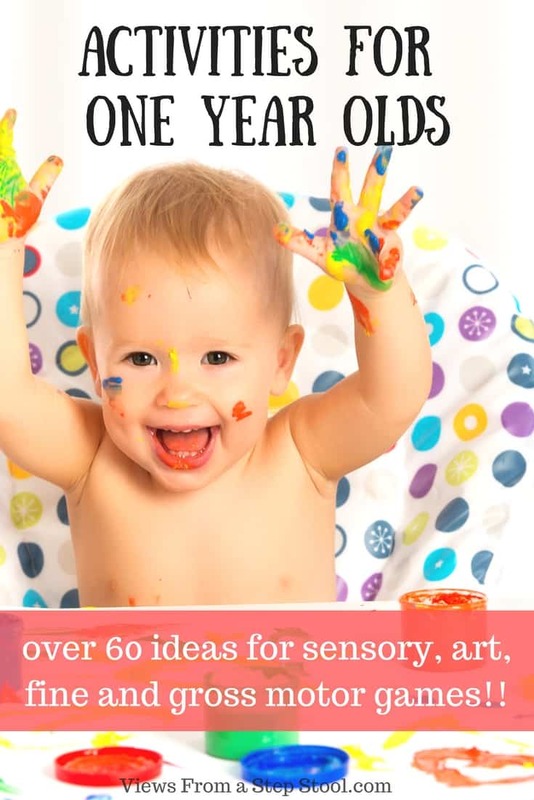 They are extremely useful for babies as well as older children! 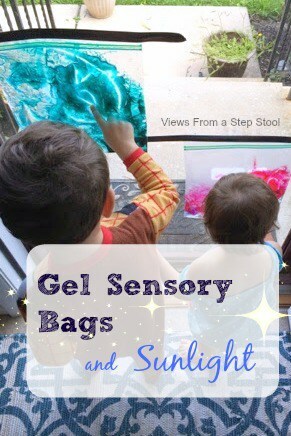 Gel sensory bags are one of my favorite and super easy go-to sensory play ideas. 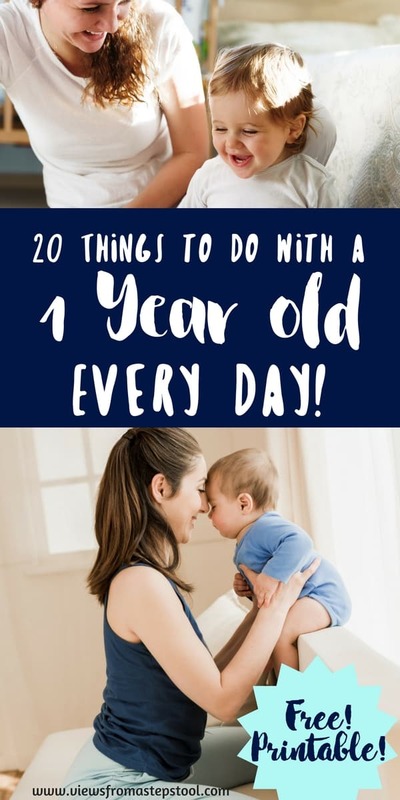 I love that they are extremely useful for babies as well as older children. 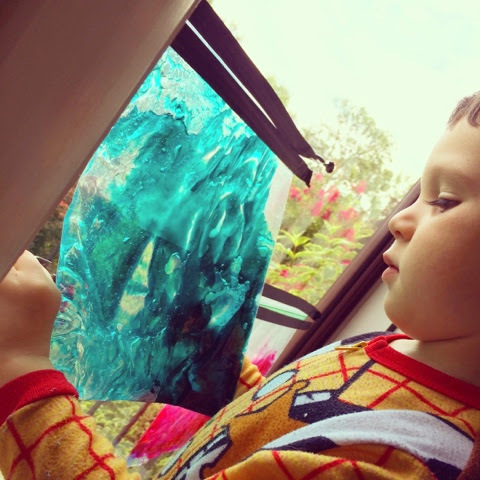 This bag is made with hair gel, but to see how we have made them in different ways, check out these 4 simple baby-friendly sensory bags too. Add hair gel to bag until about 1/3 way full. Secure the bag with duct tape to ensure that it doesn’t open. 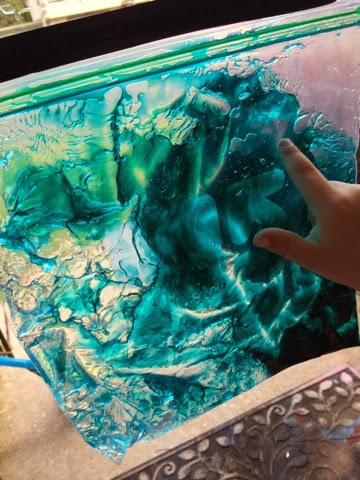 Add sunlight to your gel sensory bags! 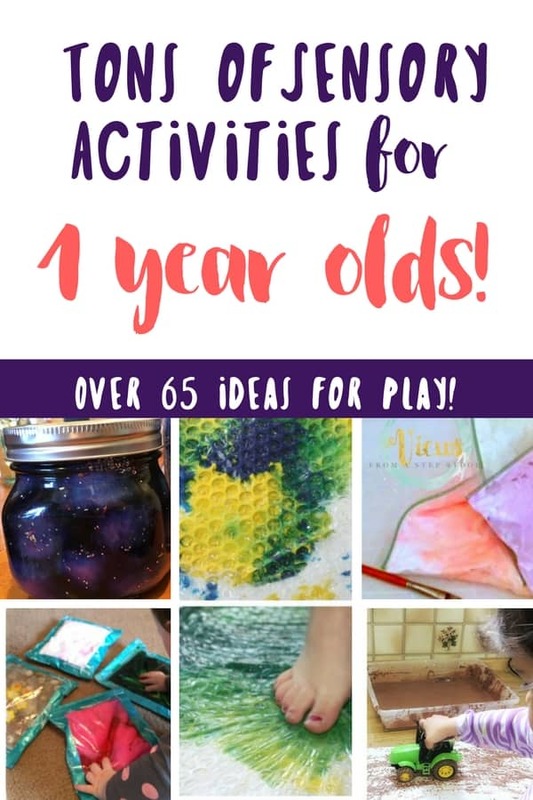 Tape these to a door or window with painter’s tape or masking tape to see how they looked with the light shining through them. 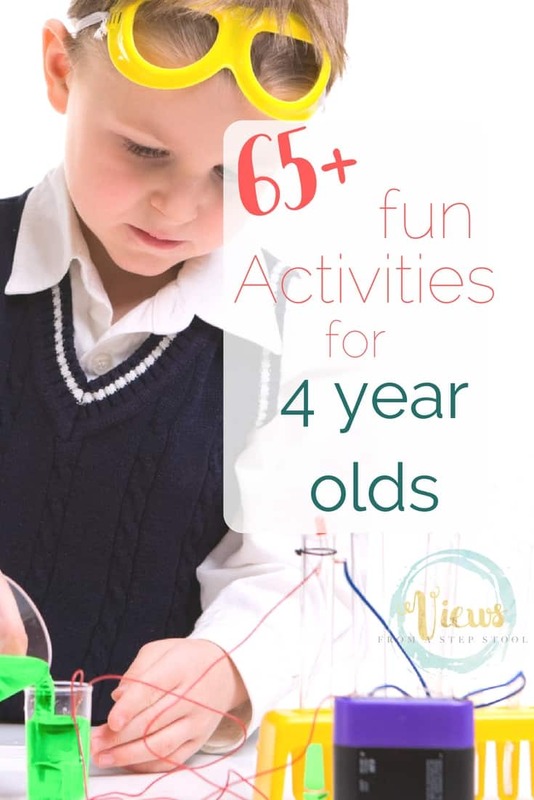 Light table play is a wonderful alternative during the winter, but I am trying to take advantage of the sunshine while we still have it! 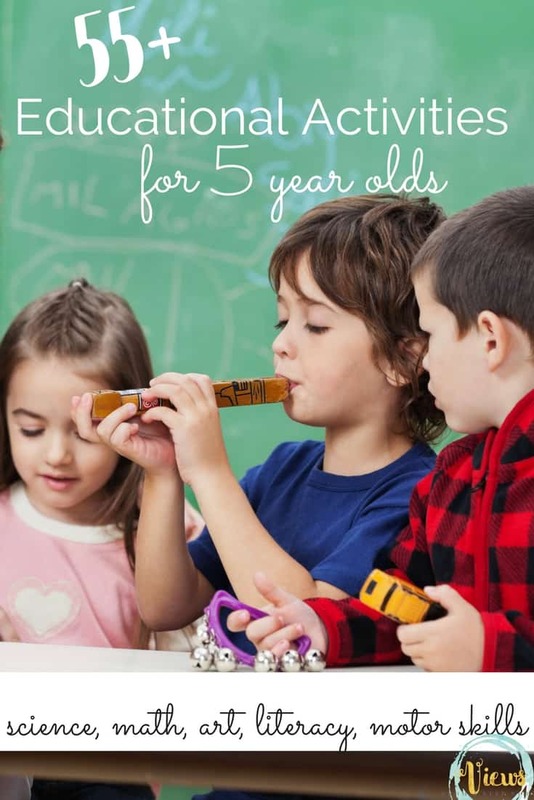 This is a great way to practice writing letters or drawing shapes and numbers for younger kids. 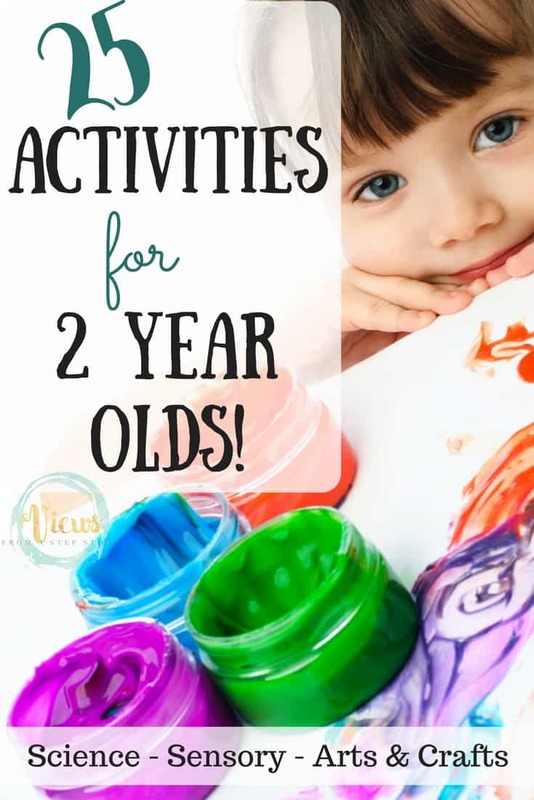 My oldest enjoys gathering objects and making ‘track’ prints with items like toy cars or balls. He also like to use the bag like an X-Ray machine, placing a toy or his hand behind the bag and doing some inspecting 😉 How can you play with these? 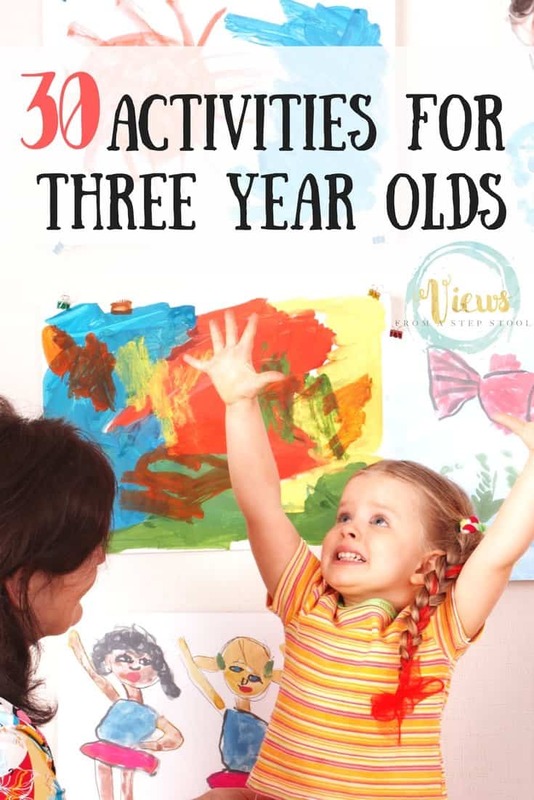 Find more ways to play for a variety of ages!